The unique combination of active ingredients, vitamins and minerals with carbohydrates (OPTIMAL CARBOCOMPLEX) to improve the processes of regeneration ..
"First aid" after the training exercise limiting catabolism (muscle loss). 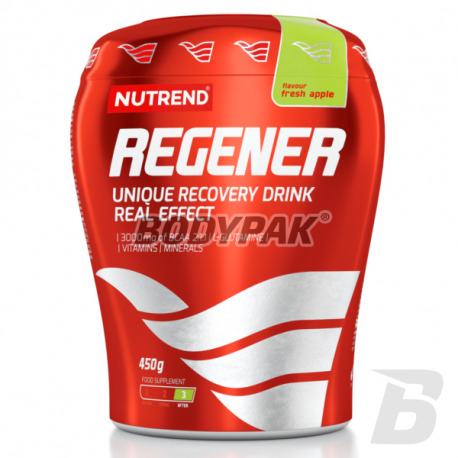 Maximum speeds up recovery and transition phase anabolic. Efficient regeneration after physical activity is associated with the addition of liquids, energy and mineral balance in the body. 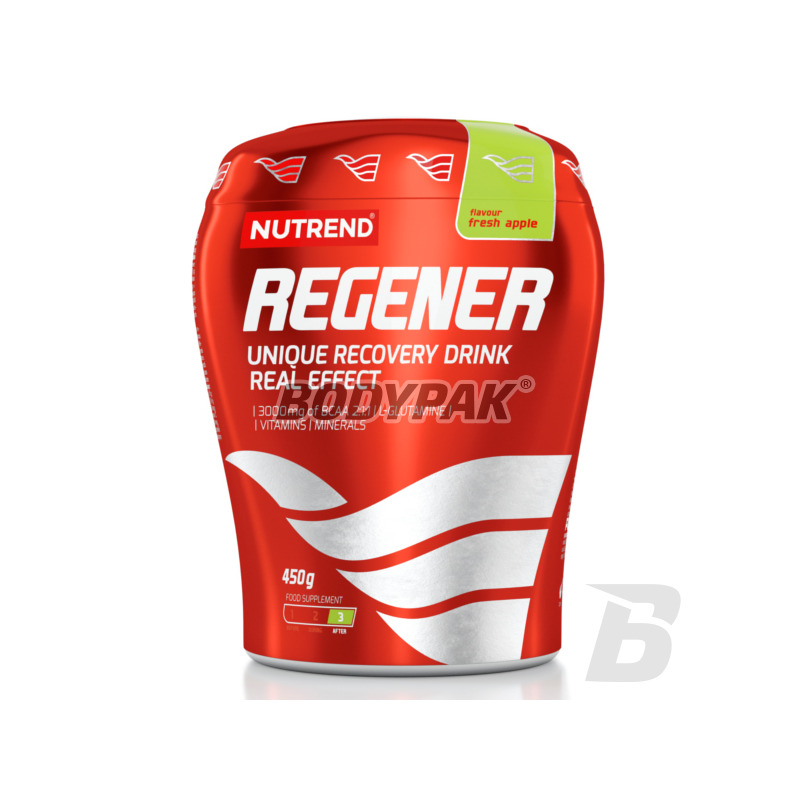 Nutrend Regener provides full recovery of energy resources through the complex simple carbohydrates and amino acids branched BCAA- L-leucine, L-isoleucine and L-valine. Providing post-workout BCAA accelerates muscle recovery and supports their growth. L-glutamine has a strong anti-catabolic effect - reduces the destruction of muscle protein. It facilitates the synthesis of proteins and contributes to positive nitrogen balance. Increases immunity. Reduces the level of catabolic hormone - cortisone. L-arginine increases the secretion of growth hormone, while maintaining the correct ratio between muscle and fat tissue. It stimulates the immune system. It facilitates the use of carbohydrates. Lowers cortisol levels and speeds up the transition to phase anabolic. Vitamins with antioxidant reduce the harmful effects of free radicals formed during exercise. Minerals in physiological proportions compensate for losses incurred as a result of physical exertion. Składniki, maltodekstryna, glukoza, l-glutamina, l-leucyna, regulator kwasowości kwas cytrynowy, aromaty, cytrynian magnezu, glukonian potasu, l-izoleucyna, l-walina, l-arginina, substancja przeciwzbrylająca fosforan wapnia, kwas l-askorbinowy (witamina C), zagęstnik karagen, chlorek sodu, octan DL-alfa-tokoferylu (witamina E), substancje słodzące sukraloza i acesulfam K, wyciąg z Ginko Biloba (24% flawanoidów), beta karoten (prowitamina A), selen organiczny z drożdży selenowych.